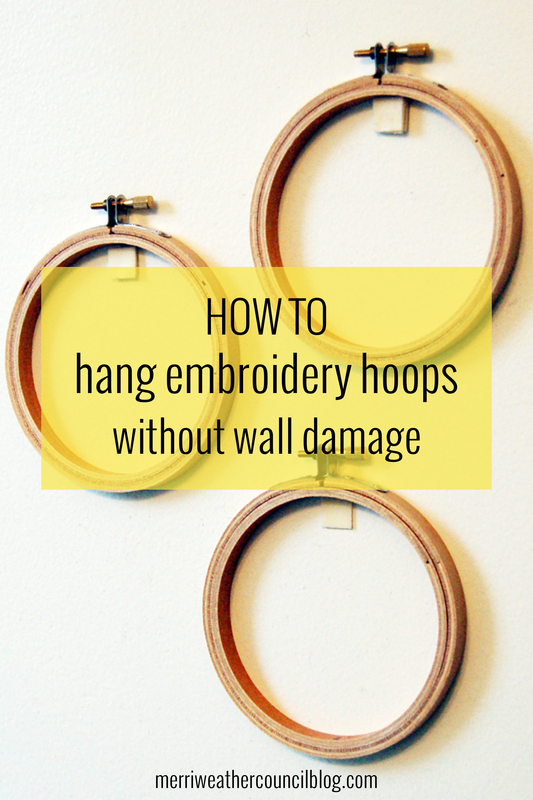 And that is what makes embroidery hoops perfect for apartment and dorm dwellers who wish to hang art and decorate their temporary spaces. 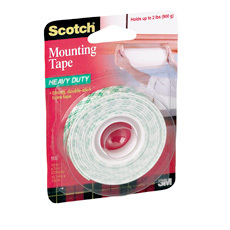 Let me show you how you can hang the hoops with mounting tape or squares. 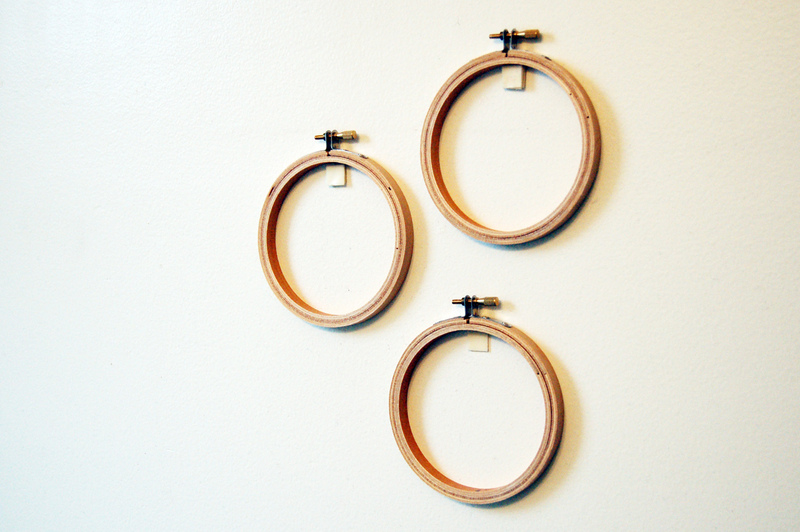 and… some hoops to hang! All you have to do is pile two small squares on top of each other to create a ledge for the hoop to sit on. Just like you would put a pin or nail in the wall except this way there is no damage to your walls! This is important is you are on a lease or have a security deposit! 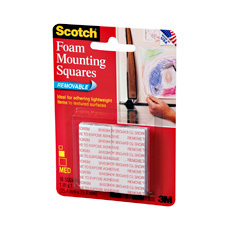 The hoops are very lightweight and so they will not weigh down the mounting squares. And if you’ve used them before you know they peel right off and do not take the paint with them – – sort of like a post christmas miracle! Fabulous idea! Thanks for sharing it!